As the defense for the two police officers who are before the High Court in relation to allegations of stealing money seized from police operations wrapped up their end of the trial yesterday, April 10, they sought to discredit the key witnesses brought forward by the prosecution team. Pamphill Prevost and Simon Power are facing trial on charges of conspiracy to steal and conspiracy to pervert the course of justice, and as their Attorneys—Patrick Thompson and Israel Bruce—addressed the jury yesterday, the two legal representatives sought to discredit three main witnesses who testified against their clients, saying they ought not be trusted. In commencing his address to the jury, Attorney Thompson impressed upon them the fact that they need to look at the important parts of the evidence presented, noting that the burden does not rest upon his client to prove his innocence, but upon the Crown to prove his client’s guilt. 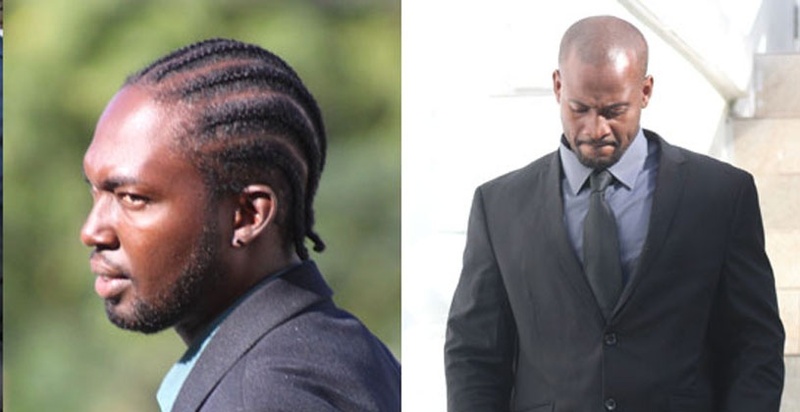 Michael Isles, a former Police Officer in the Royal Virgin Islands Police Force (RVIPF) in his testimony made several damning allegations, particularly against Mr. Prevost. He claimed that during a trip to Dominica with Prevost—where both men are from—Prevost tried to recruit him to join a team of officers, who were engaged in stealing money from police cash seizure operations. He told the court that Prevost tried to sway him, telling him that he had financed the construction of a house in Dominica and bought a car, while Mr. Power built a house with the spoils of their activities. Isles also told the court that Prevost admitted to stealing money during an operation in Cane Garden Bay, alleging that Prevost said that his initial plan to steal the entire pillow case of cash was foiled by the presence of a customs officer, who was in the room at the time. Isles claimed that Prevost told him that he planned to throw the pillowcase through a window to Royston DaSilva—who was another star witness in the case—but the customs officer was in the room and saw the pillow case filled with cash. Isles also told the court that at another operation where Cayma Nibbs was arrested at Frenchman’s Cay in 2014, Nibbs during his arrest told officers that he had $42,000 in his backpack. Isles said that later that day, at the Road Town Police Station, Prevost told him that only $32,000 had been seized and he and Prevost had a minor disagreement over what Nibbs said versus what Prevost was claiming. However, it was an incident that occurred at another operation that led to Isles—who was granted a letter of immunity by the Director of Public Prosecution—having his credibility questioned. At the residence of Ian Fibbs, a police operation took place, and Isles returned to the scene after the other officers would have left and stole a quantity of cash that he found. “Michael Isles is a criminal,” Attorney Thompson told the court, also telling the jury that he stole that money without coming to any agreement with anyone. Isles was also allegedly the person that disposed of evidence bags after he claimed that cash had to be switched from the original bags after Mr. Prevost opened the bags and removed money, the court heard. The Prosecution also relied heavily on the testimony of Sergeant Royston DaSilva. In relation to the Cane Garden Bay incident, DaSiva told the court that he saw Prevost collect the pillowcase filled with cash at the apartment from which it was seized, but later at the Police Station, the money appeared to be significantly less. He said he questioned Prevost about this, but Prevost remained silent. However, there were several instances where DaSilva could not recall other details about the incident when cross examined. DaSilva also claimed that while in the USVI, he witnessed Prevost making purchases with cash, telling the court that Prevost asked him to pay for some items with his credit card and he would repay him in cash. DaSilva’s credibility came under question after Prevost’s Attorney provided his client’s credit card receipts for those purchases. Attorney Thompson also spoke about certain inconsistencies in DaSilva’s story, about how many persons were detained during one of the police operations. DaSilva in his testimony, the Attorney argued, also told the court that he was at a debriefing on the CGB operation along with the then Deputy Commissioner of Police Alwin James, however, James—while testifying—said he was never there. This was used by Attorney Thompson to highlight the lack of harmony in DaSilva’s testimony. Moving onto the testimony of Inspector of Police, Ivor Fraser, Attorney Patrick Thompson said that following that witness’ claims could leave the jury in problems. Fraser had claimed that he saw Prevost in possession of the pillowcase filled with cash at the Cane Garden Bay operation. Fraser—who was Prevost’s superior—said he advised him that the money should be transported to the Road Town Police Station in the same vehicle as the prisoners for the sake of transparency. However, he could not say if his advice was heeded. Fraser also testified that he saw later saw Prevost exit the Road Town Police Station’s compound with a large, bulky evidence bag in his hand. In seeking to discredit Fraser’s testimony, the Attorney questioned how or why Fraser would just allow Prevost to leave a crime scene with a large quantity of cash without ensuring that protocols were complied with. He also pointed out that Fraser—a superior—watched his client leave the station with a bulky bag, as Fraser claimed, and did nothing. “Ivor Fraser cannot be believed,” he argued. As he concluded his argument, Attorney Thompson stated that there is no evidence to support the claims that his client conspired with anyone to steal money from any crime scene, and as such urged that the jury return not guilty verdicts for his client. The Attorney also took time to underline the fact that his client received several commendations for his work as a police officer over his years of service. The questions raised by Thompson were also highlighted by Attorney Israel Bruce, whose client Simon Power opted not to testify in his own defense. He also argued that there was no evidence to prove that his client agreed to steal money. Attorney Bruce also took time to remind the jury that his client practiced his right to remain silent versus giving a testimony, telling them that by remaining where he was instead of taking to the box, he did not do anything wrong. He stated that his client is a hardworking and honest man, who worked to acquire all of his possessions. As he concluded his address to the jury, the Attorney said that the three witnesses previously mentioned provided reasonable doubt in relation to the prosecution’s case. “Michael Isles cannot be trusted to tell the truth,” he also stated. On Monday, April 15, the case will continue when Justice Rajiv Persad will sum up the case and the jury will make their deliberations.